The Lion Alcolmeter® 700 breathalyser released in late 2015 along with a range of readily available options supersedes the 500 breathalyser and provides fast, accurate, fully quantitative breath alcohol analysis in a small light-weight fully automatic instrument. Utilising Lion’s electro-chemical fuel cell technology this Australian Standard AS3547-1997 approved instrument allows data logging and a choice of passive or active alcohol breath sampling with the added advantage of being light-weight and pocket-sized. This little data-logging breath alcohol analyser records the data from each subject’s breath test, with the relevant date and time. This data can then be downloaded to a central computer for management use in statistics gathering and compilation for other external purposes. Simple to use, the lion alcolmeter® 700 allows a complete breath test procedure to be conducted on a subject, and their alcohol reading noted, in approximately one minute depending on the alcohol concentration. The flexibility of the 700 allows it can be programmed to enable passive “talk into” testing for low cost, fast, non-invasive PASS/FAIL testing with a reusable sampling cup or quantitative results through the use of either a single-use, hygienically sealed mouthpiece tube. In accordance with the Australian Standard AS3547:1997 the Lion Alcolmeter® 700 is required to be recertified every six months to ensure accuracy. Lion Breathalysers Australia and our approved Calibration/Certification Agents are the only “manufacturer (Lion Laboratories Limited) authorised” calibration/recertification facilities within Australia/New Zealand/PNG and the South Pacific. To ensure your instruments are maintained to the highest possible standard and accuracy please call us to confirm authorisation of your intended service provider. 700 Printer Kit: [Order No: 700-PKIT] This combines all the analytical power of the Lion Alcolmeter® 700 with a small, rechargeable, thermal printer. Both items can be housed in a lightweight carrying case, to produce a low-cost, small analytical go-anywhere system for on-the-spot reportable breath analysis. 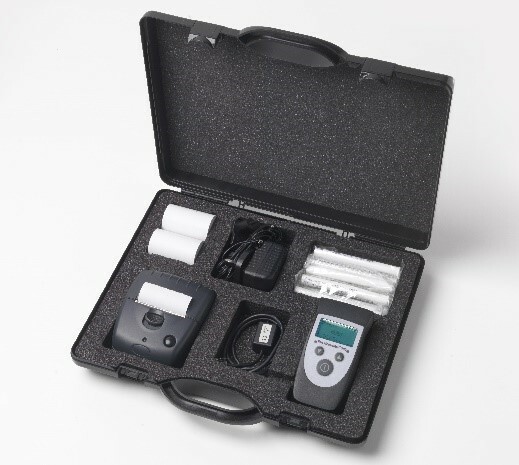 The 700 combined with the Printer Kit is configurable to allow input of subject/witness name area for signing, date, time, location is ideally suited to workplace health and safety environments where a printout of either all or positive only breath alcohol test results can be provided to employees at the time of sampling. The 700 can simply be disconnected from the printer for independent use.